Bird flight has always intrigued mankind. This book provides an up to date account of our existing knowledge on the subject, as well as offering new insights and challenging some established views. A brief history of the science of flight introduces the basic physical principles governing aerial locomotion. A treatment of flight-related functional morphology concentrates on the difference in shape of the arm and hand part of the wings, on the structure and function of tails, and on the shape of the body. The anatomy and mechanical properties of feathers receive special attention. Aerodynamic principles used by birds are explained in theory by simply applying Newton's laws, and in practice by showing the direction and velocity of the attached flow around an arm wing cross section and of the leading edge vortex flow above a hand wing. The Archaeopteryx fossils remain crucial in our understanding of the evolution of bird flight despite the recent discovery of a range of well-preserved ancient birds. A novel insight into the interactions between wings and air challenges established theories relating to the origin of bird flight. Take-off, flapping flight, gliding and landing are the basic ingredients of bird flight, and birds use a variety of flight styles from hovering to soaring. Flight muscles consisting of mosaics of specialised fibres are the engines that generate the force required to keep the wings and tail in the gliding configuration and perform work during flapping motion. The energy required to fly can be estimated or measured directly, and a comparison of the empirical results provides insights into the trend in metabolic costs of flight of birds varying in shape and mass from hummingbirds to albatrosses. 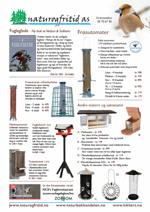 Readership: Professional avian biologists and ornithologists as well as graduate students of avian biomechanics and flight. There will also be a secondary market amongst engineers, physicists and mathematicians involved with aerodynamic theory and design.